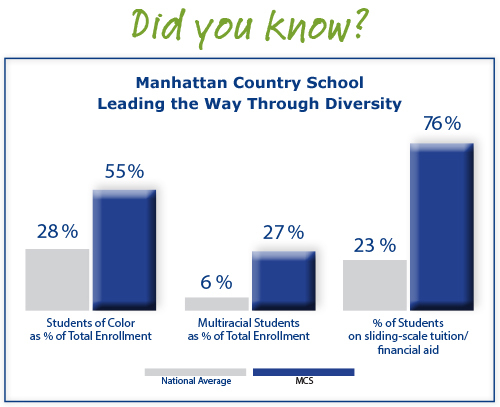 The MCS community is a purposeful model of racial, ethnic and socioeconomic diversity and the varied backgrounds of our students are an essential part of the MCS culture. Our sliding-scale tuition policy stems from the principle that a family’s financial commitment should be in equitable proportion to its financial resources and moves beyond the concept of financial aid. A deliberate curriculum that takes full advantage of the multiracial, multicultural, and economic diversity of the school. 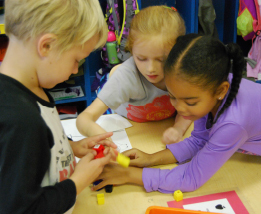 Diversity provides the basis for exploring multiple perspectives throughout the curriculum. MCS as a model to other schools seeking information about our tuition policy as part of their own efforts to further diversity in mission-consistent and sustainable ways. Founders and board members of schools across the United States, as well as economists and policy makers continue to seek guidance and engage MCS as a thought leader in this area. Your generous contribution to the Annual Fund supports our commitment to racial and economic diversity.